« Death Of Maggie O’Meara Thurles, Co. Tipperary. 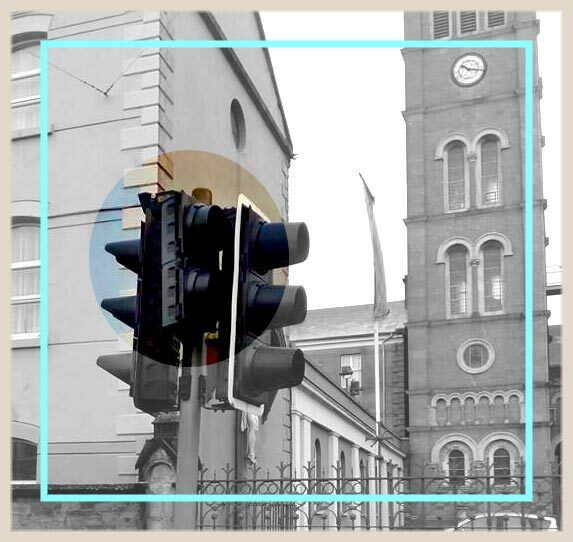 Serious concerns have been again highlighted this week, in relation to the state of Thurles pedestrian crossing lights; latter situated on Cathedral Street in the town. Controlled by pedestrians using working ‘placebo buttons’; these pedestrian crossing signal lights were initially erected to indicate and control the movement of both pedestrians and motorists on one of the towns traffic bottlenecks. However large high sided trucks continuously strike these light standards, thus totally removing the view of indicating signals. The result is that when you are crossing from the St. Patrick’s College side of the street to the Cathedral of The Assumption side; these controlling green and red indicators intended to signal to the pedestrian that it is safe to cross, are to be found facing east, pointing at the motorist instead of the waiting pedestrian. The absence of this once intended and important safety feature (See Link HERE as just one example of what Tipperary Co. Council’s insurance company could justifiably be paying out in the future), is particularly worrying since same crossing is used by up to 600 high spirited students twice daily, all attempting to connect to public school bus transport, and now unable to judge clearly if they have a right to cross this busy thoroughfare. “I think, once and for all, Tipperary County Council need to widen the area between these pedestrian light fixtures. Having failed miserably over the past 11 years to progress the construction of the proposed ‘Thurles Ring Road’, latter required to remove 18-wheeler trucks from thundering through our medieval streets, I now ask that our elected representatives take serious note of this issue and put the necessary pressure on our municipal engineers, to ensure this health and safety issue is rectified before a fatality occurs”, concluded Mr Barrett.